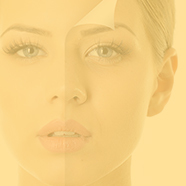 Board-certified cosmetic dermatologist, Bradley S. Bloom, MD specializes in cosmetic dermatology, laser dermatology, and Mohs micrographic surgery in New York City. He brings his skills and expertise from the NYU School of Medicine, where he was elected to the national medical honors society, Alpha Omega Alpha. Dr. Bloom completed his dermatology residency training and served as chief resident at the Ronald O. Perelman Department of Dermatology at NYU School of Medicine. He then completed a cosmetic, laser and Mohs micrographic fellowship at the Laser & Skin Surgery Center of New York. 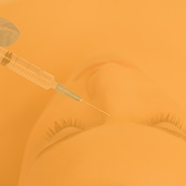 This training laid the foundation for Dr. Bloom’s deep-rooted philosophy to provide aesthetic rejuvenating treatments that refine and restore a natural and youthful appearance. 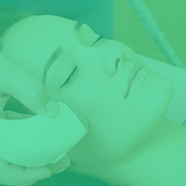 Dr. Bloom has integrated cutting-edge technology with the latest, advanced cosmetic techniques to provide his patients with the most up to date care. For Bradley S. Bloom, MD, the primary aim for all cosmetic treatments, like lasers and fillers, is to offer innovative solutions that create natural-looking improvements. Using his medical knowledge and expertise, Dr. Bloom has published articles in numerous peer-reviewed journals and has been featured in high-end magazines such as Glamour and Elle for his unique experience and insight on the field of cosmetic dermatology. He has also lectured nationally and internationally and served on work groups for the American Society for Dermatologic Surgery (ASDS) and the American Society for Lasers in Medicine and Surgery (ASLMS). Dr. Bloom also served as representative to the Board of Directors of ASLMS. With his personable rapport with his patients, coupled with his medical knowledge and dedication, Dr. Bloom understands each patient’s needs are unique and strives to create an individualized approach to delivering outstanding results. Dr. Bloom sees patients in New York City at the Laser & Skin Surgery Center of New York and is a clinical assistant professor of dermatology at New York University School of Medicine.